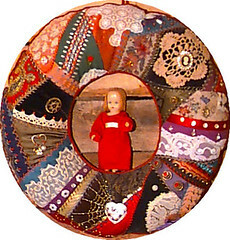 I was working on collaged postcards and liked this one so much I made myself one too. The jar was fun to draw, but I got tired of drawing the Puppy Chow. 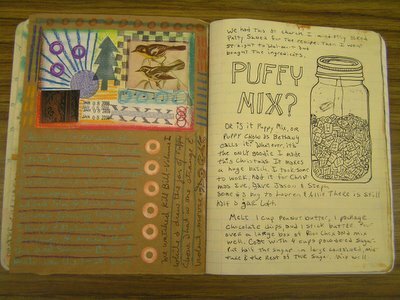 OHHH ... Nice journal pages and post carad -- and the puffy jar is my favorite!